Those days seem so quaint now. Today there are multiple versions of “rings” and “branches,” with what seems like impossible-to-understand nomenclature. Should you update Windows 10 according to the Semi-Annual Channel (Pilot)? Should you opt for the Fast Ring? Or should you simply throw up your hands and do nothing, and let Windows 10 update whenever Windows 10 wants to update? Let’s start off with the basics. If you have absolutely no interest in getting the latest Windows 10 updates before they’re released to the general public, you don’t need to do anything. Windows will update itself automatically, without your intervention. You’re all set. However, if you like getting sneak peeks at new features before they’re released, you’ve got some decisions to make and work to do. You’ll first have to sign up for the Windows Insider Program, which will let you install early versions of the latest Windows updates, known as Insider Preview Builds. Before doing that, though, think long and hard about it. These early updates can be buggy and can harm your system. The features they introduce may not work properly, or may not work at all. The overall operating system itself could become unstable, as could any applications running under it. Windows may crash or freeze. So it’s best not to install Insider Preview Builds on your primary PC. You’d be safer using a second or third PC, or even running Windows 10 as a virtual machine and updating it there. That being said, here’s how to do it if you want to go ahead with it. First, go to the Windows Insider Program page and sign up by clicking “Register your personal account.” It’s free to do. Once you do that and follow the instructions, you’re part of the Windows Insider Program and you’ll be able to get Windows releases before everyone else. But signing up is only the first step in the process. That just registers you. After you’ve signed up, you’ll need to go to the PC on which you want to get Insider updates, configure it to get the updates and tell it which ones you want to get. That way, you can get the updates on some of your PCs but not others. You could, for example, choose not to configure your main PC to get the Insider Preview Builds in order to keep it stable, but could configure other PCs to get them. You can even configure different PCs to get updates on different “rings” than others. To get the releases on a specific PC, run the Settings app on it and select Update & Security > Windows Insider Program. Click “Get started” and follow the prompts. Then click Confirm and schedule a time for your PC to restart, or restart it right then. After your PC restarts, go back to Settings > Update & Security > Windows Insider Program, and you’ll have a choice of three different Windows Insider “rings” to choose from: the Fast Ring, the Slow Ring, and the Release Preview Ring. Which you choose depends on your appetite for risk and how quickly you’d like to get the latest updates. The Fast Ring: The Fast Ring, as its name implies, gets you Insider updates as soon as Microsoft releases them. They’re released more frequently than in the Slow Ring or Release Preview Ring, and you may get them weekly or even faster at times. Being in the Fast Ring means you’ll be in the know about new features before everyone else. But Fast Ring builds have also been tested the least and are the most unstable. And some of the features you’ll see in Fast Ring releases are experimental and are killed off before they ever see the light of day. So choose this ring only if you absolutely want to get the latest updates before the rest of the world. Once you sign up for the Windows Insider Program, you’ll need to decide which Insider ring you want to be on. The Slow Ring: If you don’t like the risks of living in the fast lane but still want to see updates before the general public, choose the Slow Ring. As the name implies, this ring receives updates later than the Fast Ring. Slow Ring updates have been tested more and have had more bugs squashed; any Fast Ring updates never make it into the Slow Ring because they’re too buggy. So it’s not uncommon to get Slow Ring updates only every six weeks or so. But they’re more stable than Fast Ring updates, and will cause fewer system problems. The Release Preview Ring: This ring is the safest of the Windows Insider Program options. Mostly, it’s used to give you faster access to updated drivers, updated Windows Store apps, and basic Windows updates. It should be bug-free, or at least as bug-free as Microsoft is capable of making an operating system. When you’re in the Release Preview ring, most of the time you won’t be getting a sneak peek at features that are going to be introduced into the next version of Windows. 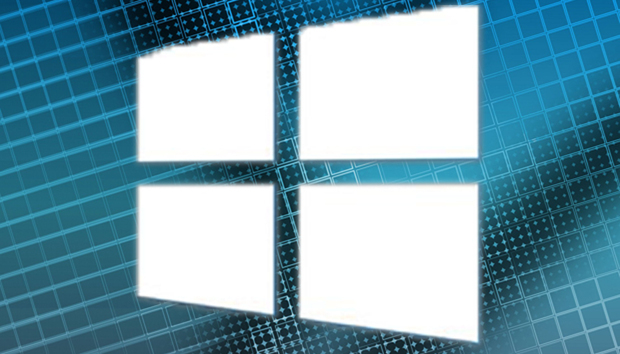 Think of it primarily as a way to get early Windows maintenance updates. However, there is an exception to that. When Microsoft releases one of its major updates, such as the Creators Update, it gets released to the Release Preview ring a bit before it gets introduced to the rest of the world. For example, the Windows 10 Creators Update was released to the Release Preview ring on March 30, 2017, several days before Microsoft made the Creators Update available to anyone who wanted it via Microsoft’s Update Assistant tool. Skipping ahead: Beginning in late July, Microsoft rolled out an additional option that puts you into what you might think of as the super-fast lane. It jumps ahead of the Windows 10 Fall Creators Update entirely and delivers updates from the next version of Windows 10, code-named Redstone 4. Users who make this choice stop receiving the Windows 10 Fall Creators Update Insider builds and instead start receiving ones for Redstone 4, expected to be released in the spring of 2018. IT administrators have two sets of needs when it comes to Windows updates. They need to know what changes are being made to Windows before they happen so they can prepare to support them, and they also need to choose the right channel for deploying Windows updates to enterprise users. Those two needs are at odds: Checking out the latest preview version means testing risky software, while deploying Windows updates requires a conservative approach, making sure that like doctors, they do no harm. So IT administrators need to make two very different choices to solve those different problems. For testing purposes, IT administrators can use essentially the same technique as individuals for getting the latest updates: joining the Windows Insider Program, then choosing among the Fast Ring, Slow Ring, and Release Preview Ring for getting Insider Preview Builds. They do it slightly differently than individuals, though. They sign up for the Windows Insider Program for Business, instead of the one for individuals. 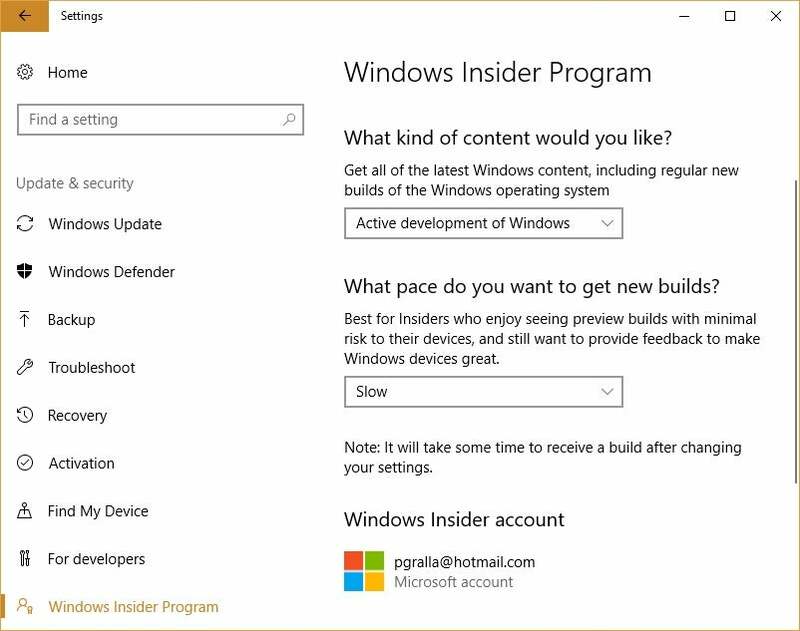 To do it, go to the Windows Insider Program page and click “Register your organization account.” In order to get the releases on a specific PC after you register, run the Settings app and select Update & Security > Windows Insider Program. Click “Get started” and follow the prompts. Log in using your business account. Then click Confirm and schedule a time for your PC to restart or restart it right then. The Fast Ring: This may not be the best ring for IT administrators to use, and not just because it’s the buggiest. Microsoft sometimes introduces features and settings in this ring that it eventually discards, which means that IT admins will be wasting their time checking out and preparing for features they’ll never use. However, for IT admins who want to influence the future of Windows, it’s a good choice, because they can send their feedback to Microsoft early in the Windows development cycle, before features are baked into the operating system. The Slow Ring: This ring may be the best choice for IT admins. Not only does it tend to be stable, but by the time a feature reaches the Slow Ring, there’s a very good chance it will stay in Windows. Choosing this ring, admins can get a heads up about what’s coming in Windows without wasting their time testing capabilities that may never make it into the operating system. The Release Preview Ring: This is the most conservative choice for IT. It’s the most stable version, and what’s here ends up in Windows. But it doesn’t give much of a heads up — typically only days — so administrators won’t have a great deal of time to get familiar with new features. Whatever choice you make, the updates happen only on the administrator’s PC, not any others. For more details about the Windows Insider Program for Business, see this detailed Microsoft document. Since Windows 10 was released, Microsoft has been using the terms Current Branch (CB) and Current Branch for Business (CBB) to describe its primary release channels for major OS updates. Releases entered the Current Branch on the update’s official launch day — the day the update began rolling out to consumers. About four months later, after the initial bugs were ironed out, that same release was deemed stable enough for enterprise use, at which point it entered its Current Branch for Business phase. In September, however, Microsoft will change that nomenclature: The CB and CBB names are going away and will be replaced by Semi-Annual Channel (Pilot) and Semi-Annual Channel (Broad). Why the “semi-annual?” terminology? Because Microsoft has committed to significant feature updates to Windows 10 twice a year, a strategy it calls “Windows as a service.” In 2017, for example, the company released the Windows 10 Creators Update in the spring, and this fall will release the Windows 10 Fall Creators Update. When Microsoft first publicly releases one of the two significant updates, it releases it for businesses into the Semi-Annual Channel (Pilot). That means that the update should only be used in enterprises for small, pilot programs, not for overall deployment. After about four months, when Microsoft determines the bugs have been worked out and the update is as safe as possible for business, Microsoft promotes it to Semi-Annual Channel (Broad), so that companies can feel safe in deploying it widely. Of course, this doesn’t mean companies have to deploy it to all their users then, but putting it into the Broad channel means Microsoft believes it’s suitable for the enterprise. With Microsoft’s twice-a-year update schedule, however, such staggered deployments could get very complicated, as the pilot group could be testing the latest release well before the critical group upgrades to the previous release. And note that Microsoft’s 18-month support period for each update starts when it enters the Semi-Annual (Pilot) Channel, so the longer you wait to roll it out, the shorter the period of time you’ll get security patches and bug fixes for that release.